The Lakers got waxed by the Raptors on Sunday night, losing 121-107. The game actually wasn’t even that close — Toronto jumped ahead 41-10 early in the game and ended up with a 42-17 lead at the end of the first quarter. After losing a couple of games in the final 5 minutes this season, the Lakers decided to change it up and lose one in the first 5 Sunday. And while fans were outraged, my take on this is it happens like this sometimes. Obviously we all want better, but sometimes we don’t get better. Sometimes I want cookies instead of broccoli too. It is what it is. The Raptors game brought us to the 10-game mark of the season, though, and the team sits at 4-6. They have an expected W/L record of 5-5, however, likely due to their “unlucky” results in some close games (namely the first Spurs game and the loss to the Wolves). Overall, I think the Lakers are doing okay, though there are obvious things that stand out as needing to be improved if the team is going to start to win consistently. The Lakers are currently 10th in offensive rating and 23rd in defensive rating. This is nearly the exact inverse of last year’s Lakers profile where they finished 22nd in offensive rating and 13th in defensive rating. The Lakers current profile is not quite good enough on either end of the floor to push them into “firm playoff team” territory — just like last season’s profile wasn’t. They’ll need to make a jump on offense (into the top 5-7) or a sizable improvement on defense (into the 15-18 range) to really gain real traction. Based on the current makeup of their roster, I think the jump on offense is much more realistic. For all the talk of the Lakers “not having enough shooting” (an idea I pushed back against), I think things have been much more of a mixed back considering the team ranks 20th in 3-point FG% at 34.3%. Mind you, this isn’t good, but it’s only .9% below the Blazers and their 15th ranked percentage. If you’re looking for the biggest culprits on dragging the Lakers deep shooting percentages down, look no further than LeBron James and Kyle Kuzma, who are shooting 28.8% and 27.8% respectively from deep respectively. This wouldn’t matter so much if Kuzma (54 attempts) and LeBron (52 attempts) were not leading the Lakers in shots from this distance, but they are. Kuzma’s struggles are particularly concerning because even though the Lakers are benefiting in some ways from the gravity and spacing he’s producing simply by being on the floor as a stretch PF, the possessions he’s using as a high volume shooter which end up being empty trips down the floor are creating a drag on the team’s overall offensive efficiency. Staying on this point, Josh Hart is the Lakers best high volume 3 point shooter, hitting 41.7% of his 48 total attempts through 10 games. He’s followed by Lonzo Ball who has hit 41.3% of his 46 total attempts so far. There were major questions about whether Ball could consistently hit the long ball for these Lakers, but the early trends are encouraging. As a bonus, the team’s leader in 3-point FG% is…Rajon Rondo who has hit 8 of his 15 attempts from deep (53.3%). One major issue with the Lakers defense has been their ability to end possessions with defensive rebounds. The Lakers currently rank 27th in defensive rebound percentage, grabbing only 73.2% of the available defensive rebounds. To compare this to last season when the Lakers ranked 12th in the league, grabbing 77.2% of the available defensive rebounds. The hope is that, if the reports he will sign are true, Tyson Chandler can help in this regard. A key player who is contributing to the Lakers lack of success on the defensive glass? JaVale McGee. Through 10 games McGee is only grabbing 17.6 of the available defensive rebounds while he’s on the floor. For comparison’s sake, Lance Stephenson is at 16.4% and Lonzo Ball is at 15.4% this year. To pile on a little more, the Lakers post a better rebounding percentage when McGee is off the floor (75.1%) than when he is on the floor (71.8%). For all the complaints about Brook Lopez’s poor individual rebounding numbers last season (and he, like McGee had a subpar individual defensive rebounding rate), the Lakers rebounded better when he was on the floor (78.6% defensive rebounding rate) than when he was out of the game (77.0%). To be fair to McGee, he chases (and gets) a lot of blocked shots, so he will need help from his teammates to clean up the glass while he’s challenging shots in the paint. The flip side of this, however, is that the volume of blocks McGee chases does not translate to enough actual blocks to justify not rebounding better individually. It’s a double edged sword with McGee since he clearly helps the Lakers defense overall. But if the team rebounds this much worse with him on the floor, it’s one other data point we need to consider when discussing how much he’s helping. 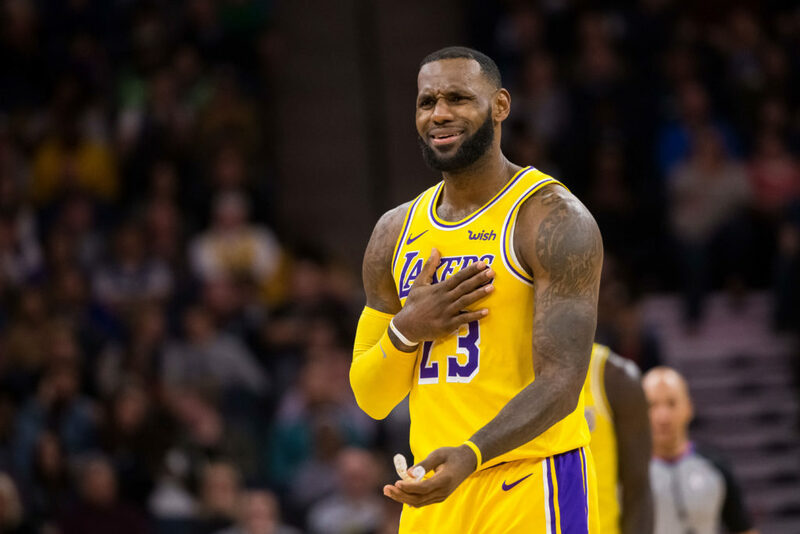 In the 351 minutes LeBron James has been on the floor, the Lakers have a net rating of -4.8. Further, in the 134 minutes LeBron has been off the floor, the Lakers have a net rating of +6.7. Add it all up and the Lakers have been, through 10 games, 11.5 points per 100 possessions (+9.7 on offense, +1.8 on defense) when LeBron is out of the game. Look, no one is going to argue that LeBron isn’t great or anything dumb like that. He’s clearly still an amazing player even if it’s clear he’s operating about about 55-60% of playoff-LeBron levels. But these numbers are what they are and they’re not good. If you want more bad news, the two players right below LeBron in terms of overall negative net rating when on on the floor are Kuzma (-5.6) and Lonzo (-8.6). Woof. I’m not sure if there’s any rhyme or reason to this, honestly. You could argue this reflects poorly on Luke Walton, but I’m not sure if that’s true at all. I mean, one could argue that when it’s time to make adjustments based on how games start, the Lakers are doing that and performing better as the game goes on. You could also argue that the same unit which starts the game also starts the 2nd half and the 3rd quarter differential shows improved performance. I think this deserves close observation as the season goes on to see if these trends hold, however. I’ll also add it’s hard to win games when you start and finish games poorly as the Lakers have and their 4-6 record reflects that. The Lakers have four players in the top 50 in points in the paint scored per game. LeBron (12.4, 10th), JaVale (11.8, 13th), Kuzma (11.6, 14th), and Ingram (8.0, 49th) are doing a great job of getting baskets at the rim and in a variety of ways. LeBron and Kuzma are also 5th and 6th respectively in fastbreak points scored per game while Josh Hart ranks 15th. 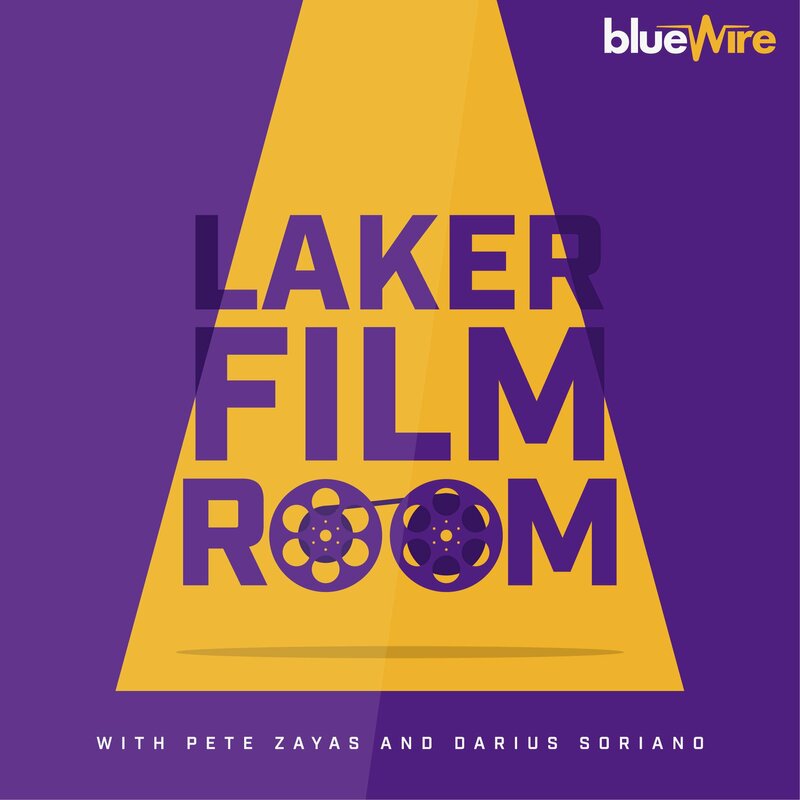 All this reflects well on how the Lakers are doing a good job of establishing and sticking to the identity they want to have on offense and should be encouraging to fans who wondered if the Lakers could actually be a running team/play at a fast pace when they have LeBron on their roster. Through 10 games, this is undeniably true. If, as pointed out in #3, LeBron and Kuzma could pair better shooting efficiency from distance with their work in the open court, the team’s overall offensive efficiency could take another mini-jump towards the top 5. If you’d have asked me before the season who I wanted as the Lakers starting lineup, I’d have said Lonzo, Hart, Ingram, LeBron, and JaVale. Per NBA.com/Stats, that lineup has appeared in only 2 games and played a total of 1 minute. There have been several contributing factors to this, with the suspensions and Lonzo’s preseason recovery from his knee issue ranking at the top of this list. The lineup we see now starting games (Lonzo, Ingram, LeBron, Kuzma, JaVale) is probably the product of the suspensions more than anything else because Kuzma’s strong play while Ingram was out likely pushed Luke towards keeping him as a starter once everyone was back available. That said, I’d love to see the lineup with Lonzo, Hart, Ingram, LeBron, JaVale get more burn over the next few weeks to see if the balance they offer from a defense, rebounding, and shooting standpoint can bear fruit over the long haul. Don’t get me wrong, I think Kuzma is a wonderful offensive talent who pairs nicely next to LeBron. But Hart, with the combination of outside shooting/open court prowess, offers a similar end result in terms of play type usage though in a different player/from a different position. Hart is also the better defender, competes harder on the backboards, and will be a lower usage player (which could lead to more offensive opportunity for Ingram with the starting group). I’m not saying make this a change to the starting lineup, but if Kuzma is going to continue to start, I wouldn’t mind seeing Luke finding a way to get Hart some minutes with that foursome too.